Well these plans seem to be terrible for people who use any amount of data. This will increase my plan and more than likely everyone’s. I mean who thought Verizon or ATT doing anything would save people money? The competition between these two is to see who can raise their prices the most. 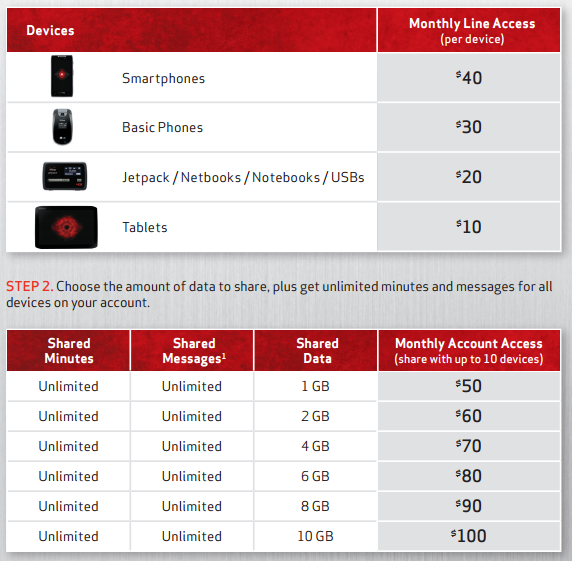 I currently am on the unlimited plan, so its $40 to add my line and I get unlimited data. Why should I pay the same for less? Posted in News and tagged verizon. ← Apple WWDC Keynote: 1pm EST today!